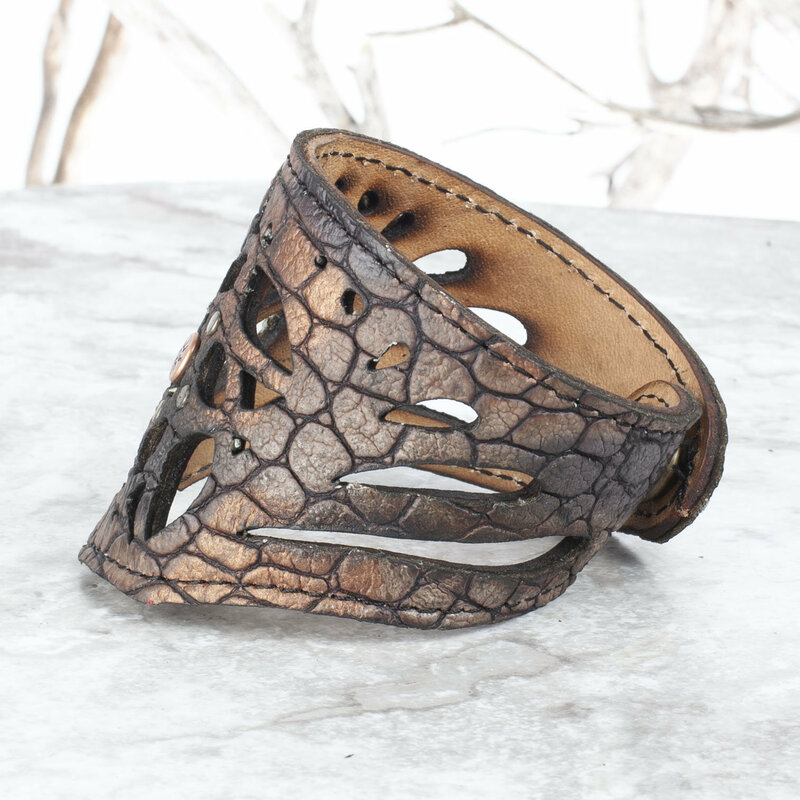 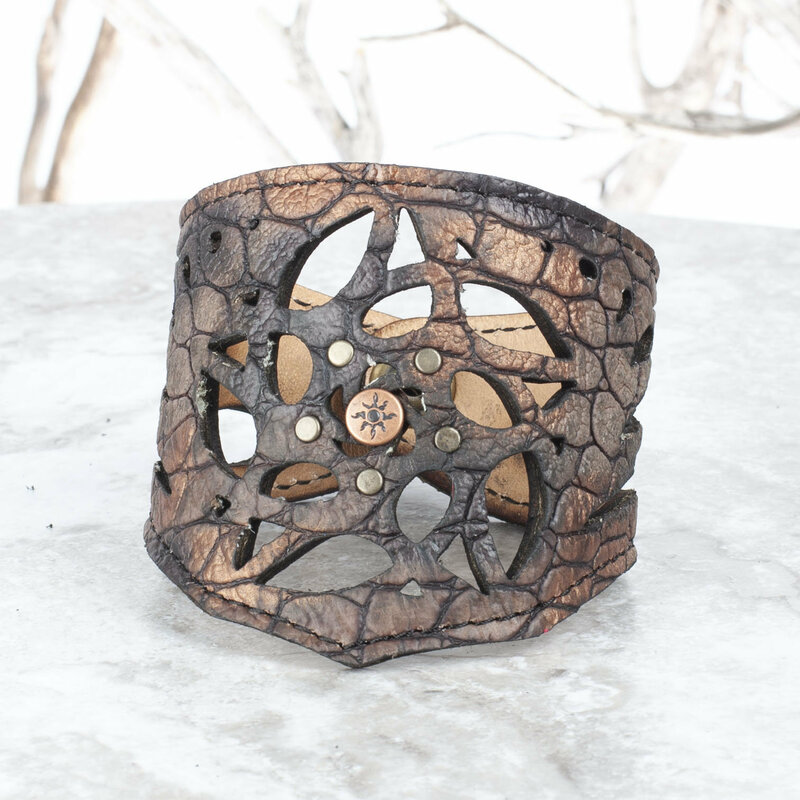 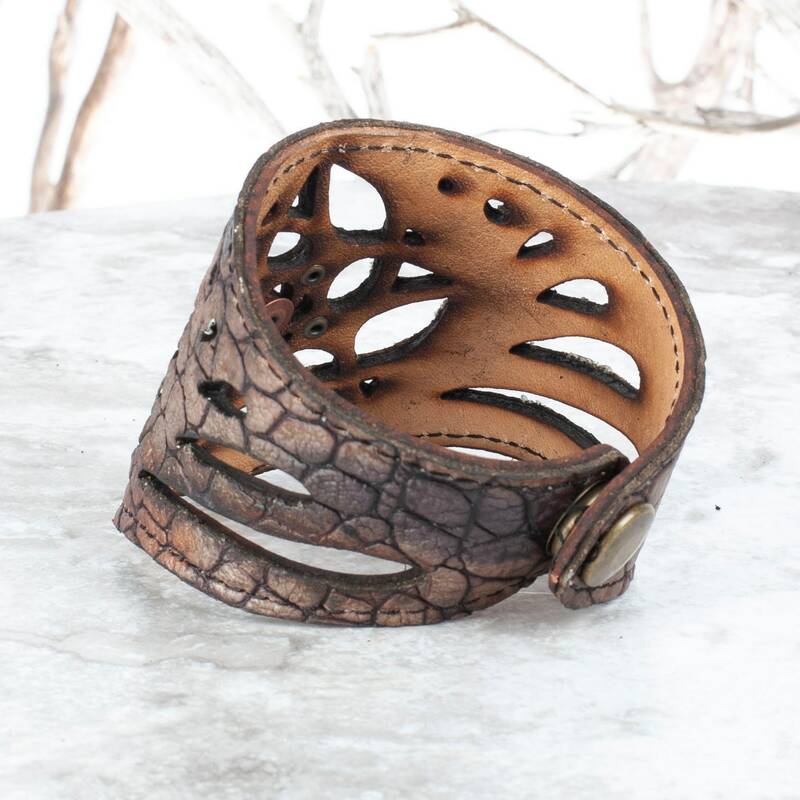 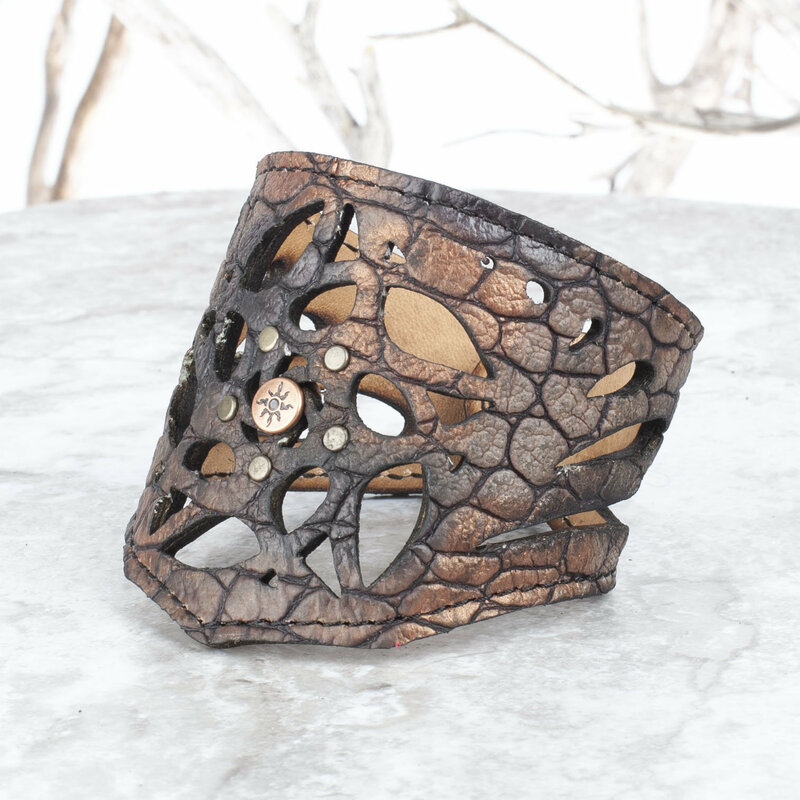 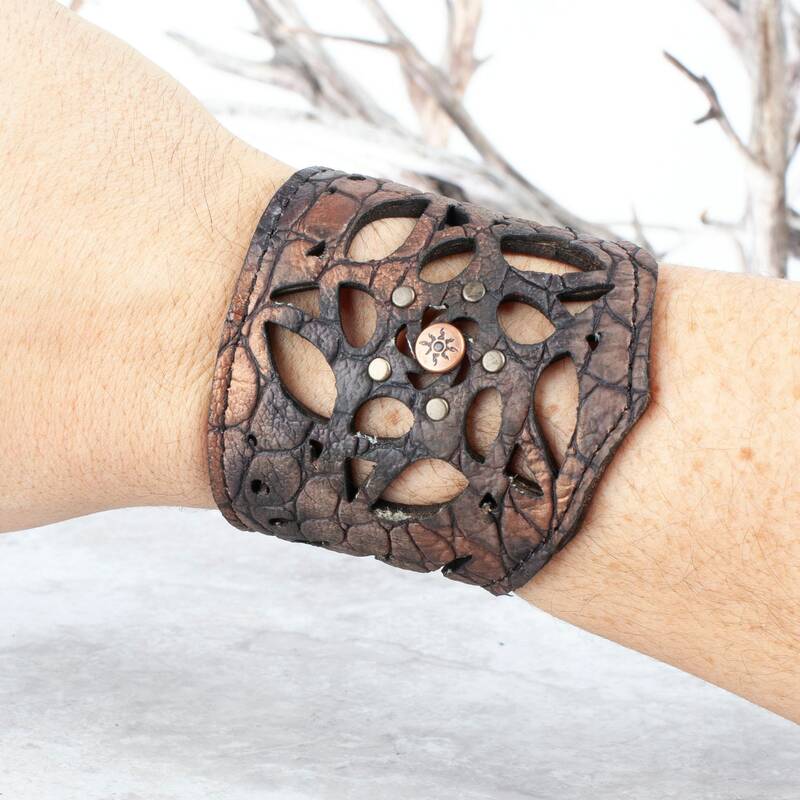 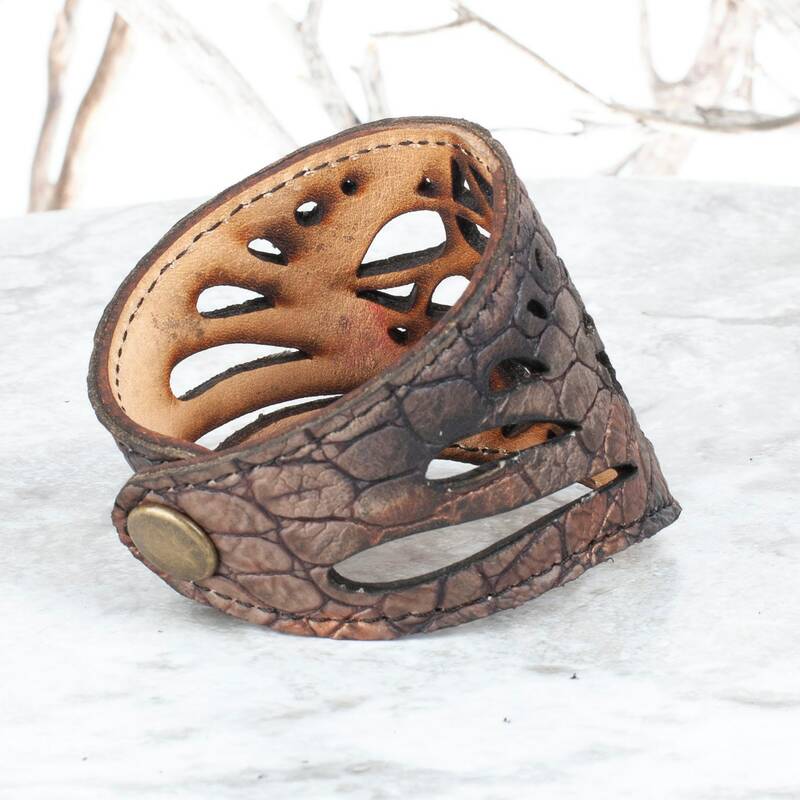 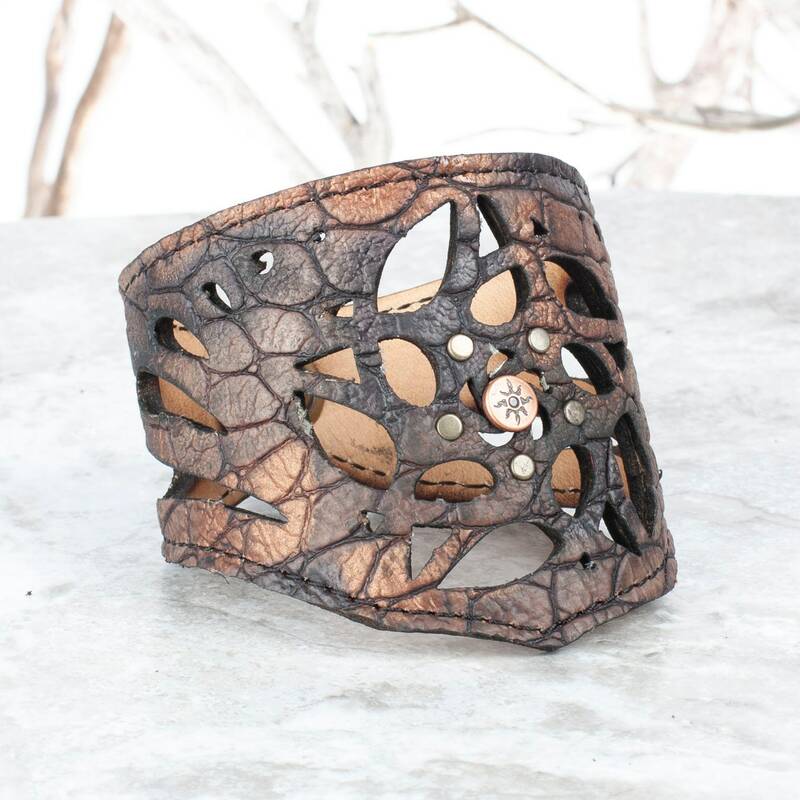 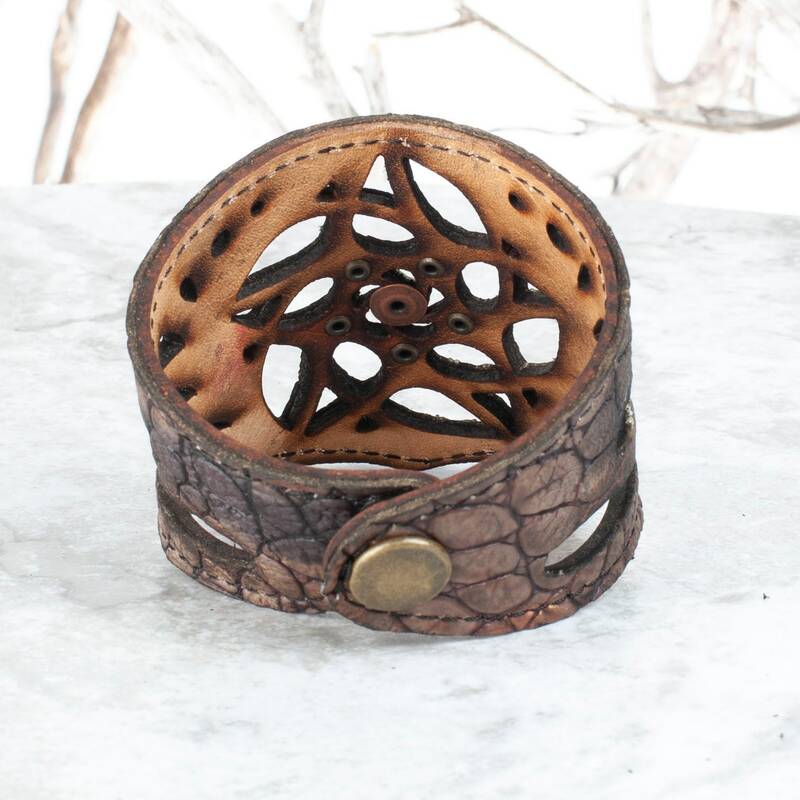 Double layered leather with a Metallic Copper/Charcoal Alligator Embossed garment leather atop an undyed veg tan leather, black thread color and featuring our Pentafleur filigree art cutout design. 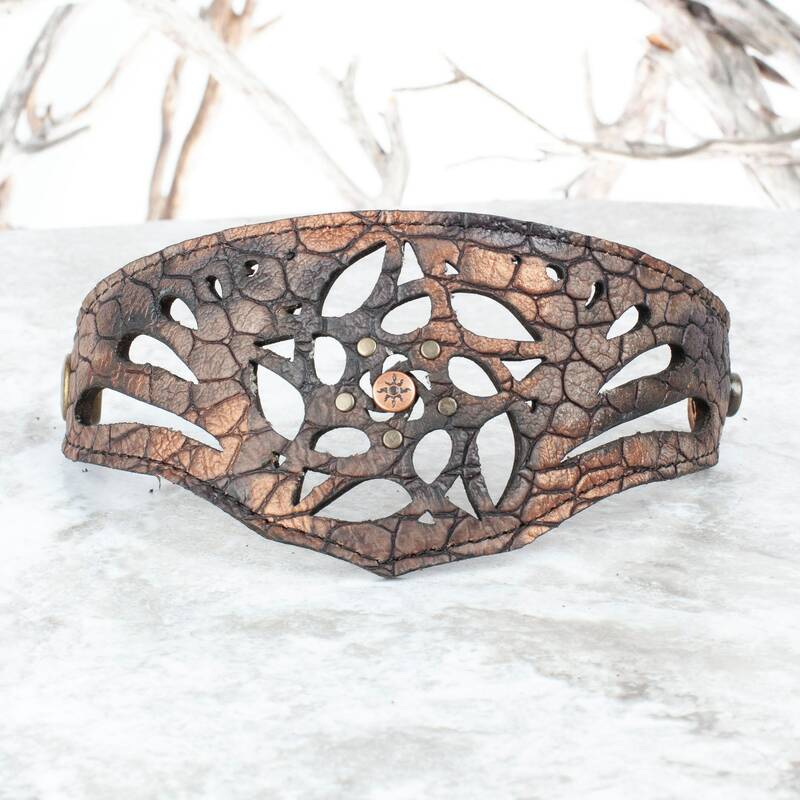 Tarnished Brass Rivets with a Copper Sun Rivet accenting the center of the filigree. 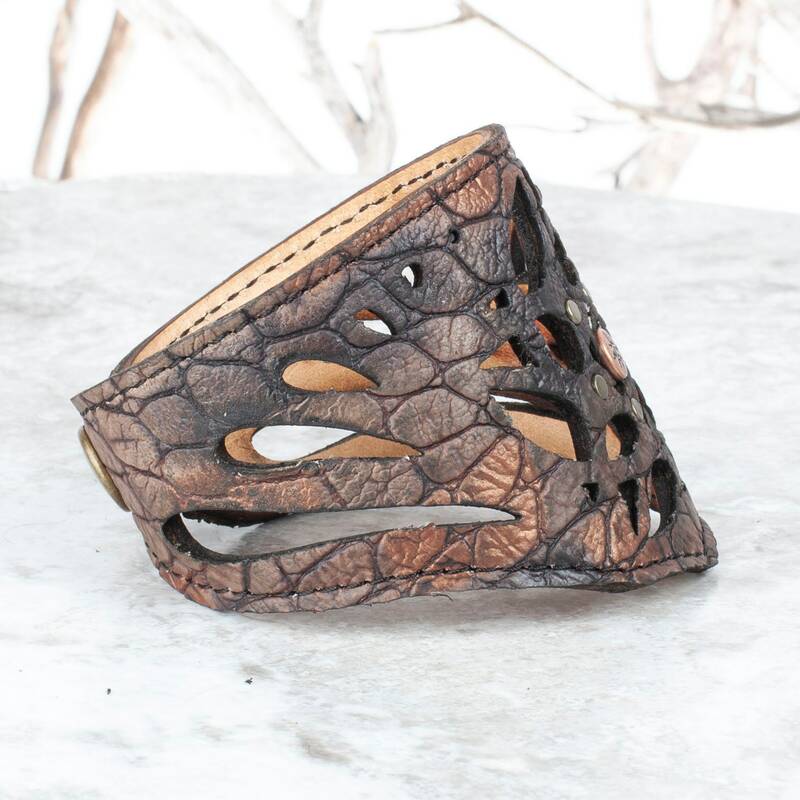 Snaps with one single strong snap.